Give the perfect gift - a Cierra Candles gift certificate. 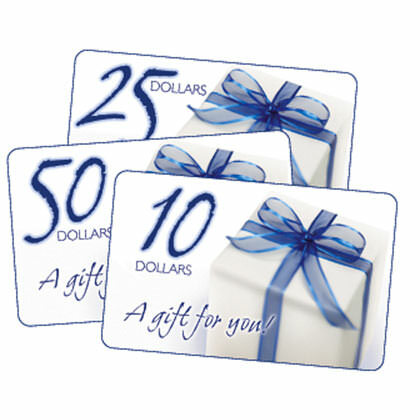 Gift certificates are delivered electronically to the email address you list. Please be sure the email address is correct! Please Note: The cart charges shipping for Gift Certificates. You WILL NOT be billed shipping, this charge will be removed before your card is physically charged, or refunded promptly via PayPal. Due to the nature of the way our cart works, we have no way to remove this before hand. We apologize for any confusion!